Asian barbecue sauce imparts a flavorful new twist to this quick and easy oven baked "barbecue" chicken. Rinse and dry chicken pieces. Place them in a bowl with the barbecue sauce and marinate in the refrigerator for 1-3 hours. Prepare the vegetables and place in a casserole dish along with the water. Place the marinated chicken on top of the vegetables. 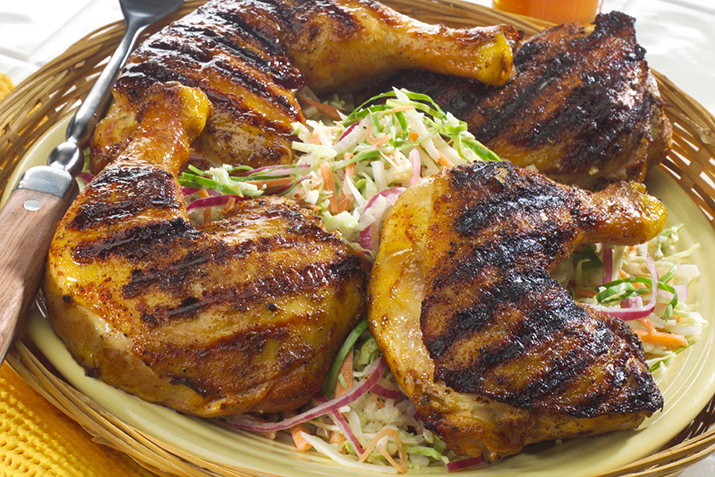 Brush the chicken with the rest of the barbecue marinade and bake uncovered for 20 minutes. Cover with foil and bake another 20-25 minutes. The chicken should have an internal temperature of 165°F. Serve the chicken with the vegetables and juices.